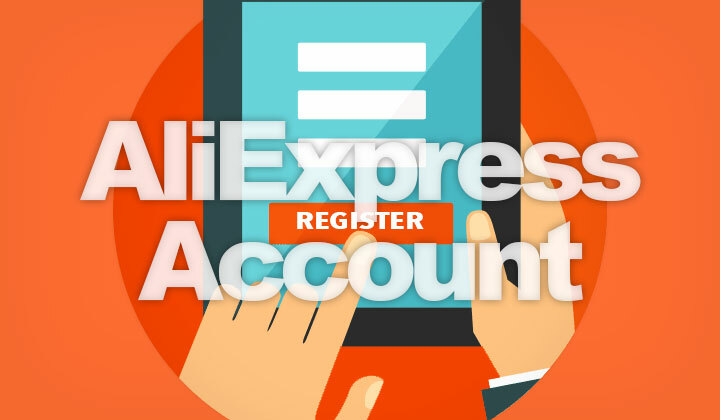 I wrote this quick how to guide on registering an account with AliExpress (also known as Alibaba Express) in English language. Working in 2019. 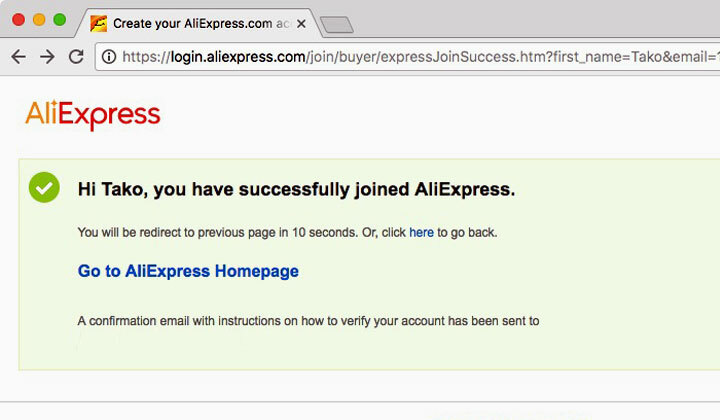 Click here » For AliExpress registration in English. Alibaba Group’s expansion with AliExpress started in 2010, and soon became a success story in the global age for Chinese small to mid-size businesses. As the “eBay of China”, they offer buyer protection for the Chinese market. To get started & set your default language, you’ll need an account. Follow these instructions to obtain your AliExpress account — if you can’t register, please first make sure to follow each step. Questions are welcome below! Step 1. Use this link to open up the registration page. Step 2. 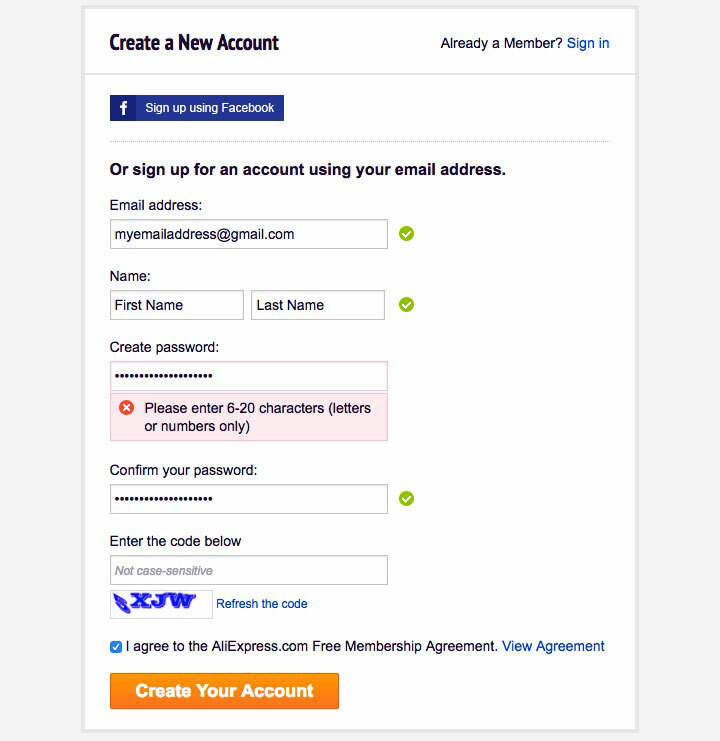 Enter account details and click on “create your account”. Step 3. You have successfully joined AliExpress. And happy shopping on AliExpress.com..! Questions on opening an account with AliExpress welcome. Having problems, or can’t register? Please, leave a message below. For your information; some of the posts contain affiliate links to support the blog, it’s activities and the author. There’s no extra cost, using them or storing the cookies applied after clicking such links is voluntary. Thank you!